Walt Disney was a genius, not only creative, but obviously had sense enough to employ folks around him with the same creative entertainment juices that has captured the attention of travelers all over the world. DisneyWorld and DisneyLand are two of our biggest family vacation requests every year, and Universal Studios is also been getting a lot of attention in the past 2-3 years with their Harry Potter emphasis. Our Disney sales representative sent us some interesting information about the Disney parks that I thought I would share with you today. DisneyWorld in Orlando is really not a “small world” after all. It covers 40 square miles, about the size of San Francisco. Of the more than 25,000 acres, less than 35% has been developed with a quarter designated as a wilderness preserve. 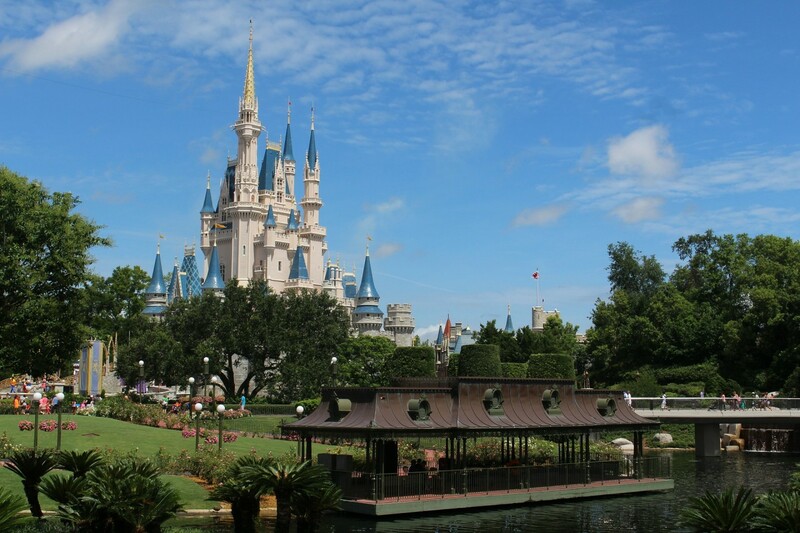 Can you believe they have more than 62,000 persons making magic at the Magic Kingdom? They are the largest employer in the United States. We visited this topic a few months ago, but being a former coach, I've found it's always good to review. 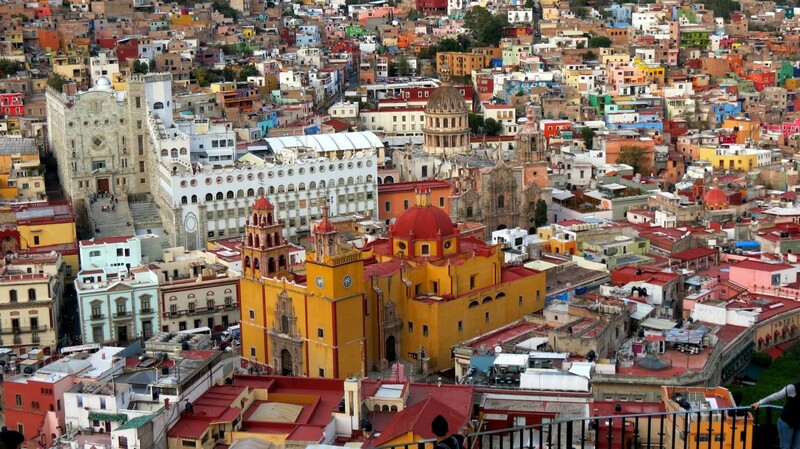 The question often comes up, “why in the world should anyone want to use a travel agent?”. One of my comebacks is “why would anyone want to use an insurance agent, or a financial adviser, or for that manner a doctor?” Of course, we in the business consider it to be a profession that requires a certain amount of education, expertise, and experience, just like the insurance agent, financial adviser, or physician. One of the ways that our clients have discovered our value is in the shopping and pricing out a travel product. When they go to an app or website of a tour operator or on-line agency, they are getting a price quote based on the proper buttons pushed. When a travel consultant offers a price, it is the result of training, skills, and expertise in finding the RIGHT price with the RIGHT supplier, in the RIGHT destination, all carefully chosen to make their clients happy. In other words, the price that the agent quotes are the result of professional research. Another thought here is that the average traveler who takes one, maybe two trips a year generally has no idea how a travel agent does their work. They are not aware of the time, energy and effort, resources used, or vendor relationships built up over the years to give them the best quote available based on the clients interest and needs. If you've been noticing lately, The Travel Factory Gang has a Hawaii trip coming up next month on Norwegian Cruise Line's Pride of America!! I wish you were going along!!! There might still be some space but the air might be a little pricey, although I did find some air with connections for around $800 yesterday. So, for a trip to the 50th state that will introduce you to most of the islands and give you time to enjoy all of them, give us a call today and we'll do our best to get you on. You'll not regret that experience!! In my opinion, it's the best way to see a lot of Hawaii in 7 days. Speaking of Hawaii, they had their best visitor count in July...ever. They had over 835,000 visitors and total visitor spending that month totaled more than $1.4 billion. Interestingly the visitor count from Japan, their largest international market dipped a little in July, and the Canadian visitor count was also down, so it was greater input from the mainland that generated the volume. 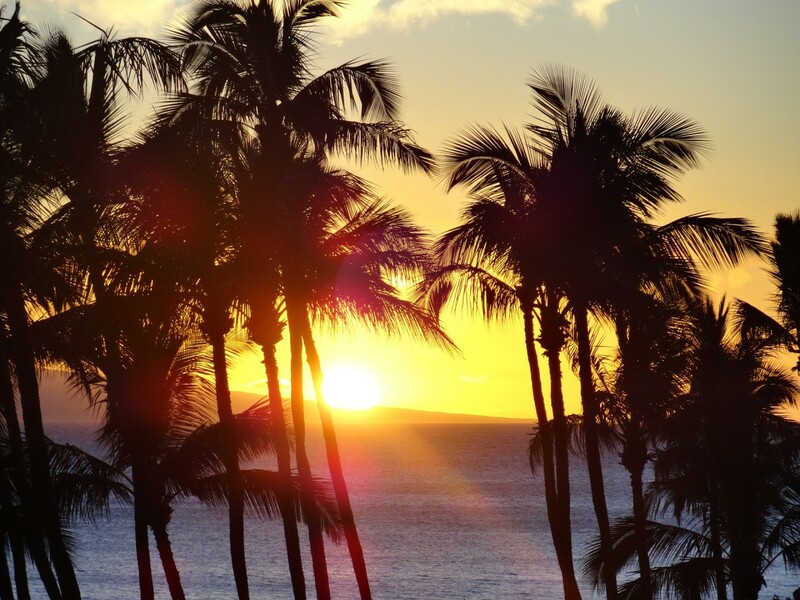 Year to date through July, Hawaii has welcomed a total of 5.2 million visitors, an increase of 2.5% year over year, and those visitors have spent $9.1 billion across the Aloha State. One Hawaii specialist remarked that he thought the perception of Hawaii being a safer vacation destination than Europe has given Hawaii a competitive edge for the tourist dollar in 2016. Also the zika threat has deterred folks from the Caribbean and South America, plus there is not a history of terrorism there, so Hawaii is looking pretty good to the traveler right now. Folks are always asking me if we are still selling airline tickets, and yes, we are. For sure, it is not a money-making proposition for our agency, but we certainly provide a service for those who do not have a computer or the inclination to spend time trying to find the best connections and the best fares. Several companies here in the Big Country still use our services because they do not see any merit in designating an employee to take their time to search out schedules and prices, so we provide them an excellent safety net for their travel needs. 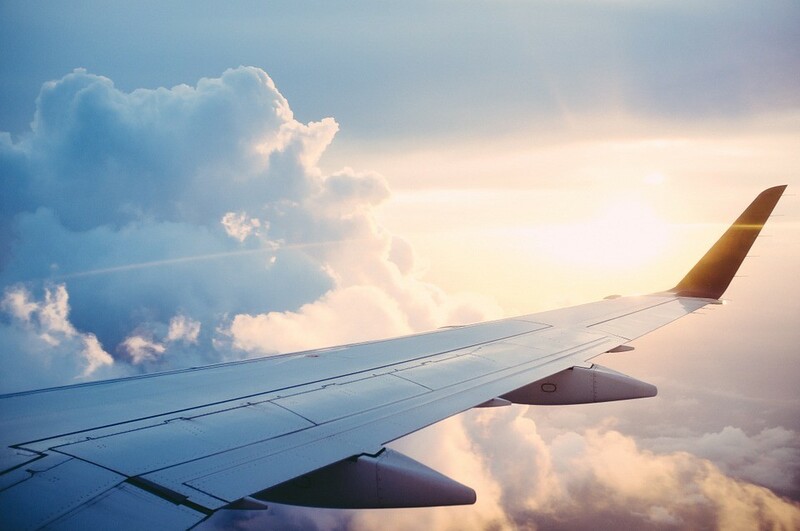 Some people are curious about when is the best time to shop and buy airline tickets. That question was addressed in an article in the Dallas Morning News that referenced an individual named Rick Seaney who is the founder of an airline ticket comparison site, farecompare.com. He had several suggestions we knew about, but will pass on. Your least expensive travel days in the United States is flying on a Tuesday, Wednesday, or Saturday. Traveling internationally, airfare generally is less expensive on Monday through Thursday. How 'Bout A Cruise Vacation??? Recently I received an e-mail request from an inquiring prospect. It was a generic request to our website, so it wasn't addressed to any particular agent. The person wanted me to let them know how much it would cost to take a cruise next summer. They did say they had two children, but that was all the information they had given. Well, in this day and time in the cruise quoting business, we need a whole lot more information before we can give an intelligent, legitimate quote. Call The Travel Factory Today From 100 Ships to 448 in last 15 years Selling A Cruise used to be simple How 'Bout A Cruise Vacation??? The TSA lines and waiting lines have gotten shorter. TSA re-deployed manpower and figured out how to more intelligently match staffing to actual airline schedules and got a little help from the airlines with basic tasks like moving carry-on bins and directing passengers. They also hired new contract workers to help as well, and the real good news is that they plan to keep those workers on the job through the Thanksgiving and Christmas holidays. Because of security concerns, most of the cruise lines have made the decision to eliminate the ports in Turkey for the rest of '16 and possibly '17. Two of my most favorite ports are Istanbul and Ephesus.....so just hate that. The CEO of NCL Holdings, which includes Norwegian Cruise Lines, Oceania Cruises, and Regent Seven Seas had to cancel these ports off of 61 itineraries and he called it “one of the toughest decisions he had ever made”. Both the U. S. State Department and the British Foreign and Commonwealth Office have issued travel alert warnings of increased threats from terrorist groups throughout Turkey. So sad for not only the tourist, but also for the citizens of that country who depend heavily on the tourist dollar for their livelihood. A couple of months ago Viking Cruises put on a promotion that absolutely seemed too good to be true. The “hook” was that airfare from DFW to Amsterdam and from Basel or Zurich back to DFW was only $100 for coach class. What a deal!!! The rest of the story was that full payment for the cruise and air had to be paid by the end of that month. Oh, did I say that the cruise was not taking place until November 25, 2017?! !......20 months before sailing.!!! I sold it as a “travel investment”......you really couldn't make that much money with a CD investment during that time, and look what you had...an exciting cruise down the Rhine with Christmas Markets at every port!! That far in advance, the question always came up whether they should take insurance on that “investment”. That's a question we get every day when selling a vacation. Every personal and family situation is different but it really boils down to the current and history of health of your family and the amount of money you would lose if you have to cancel. There are so many uncertainties in life and even though someone is in excellent health today, in 3 months, they could be in a life-threatening situation health wise. We have had several situations just like that in the past few years, and I was so grateful that in those dire situations, those clients had taken insurance that enabled them to get their money back after canceling. We hear more objections to flying to a destination than just about anything else involved in making vacation or travel arrangements. 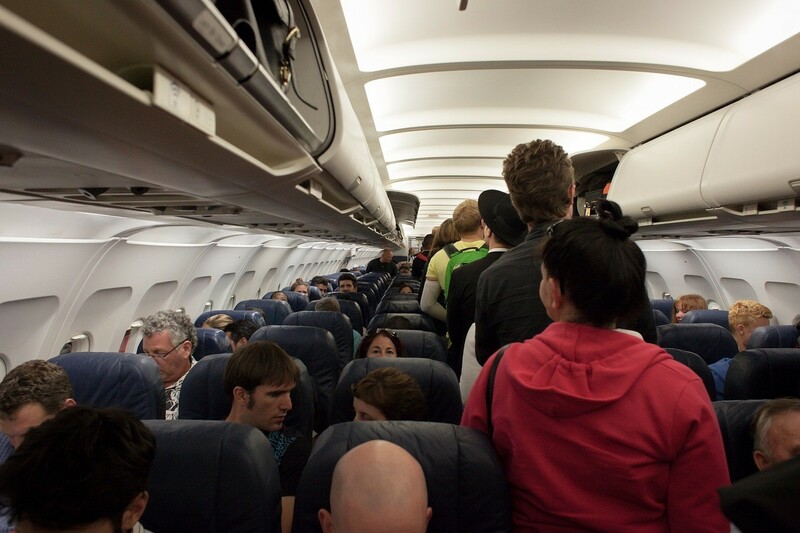 Most of the frustration has to do with the accommodations on the airplane and having to deal with inconsiderate folks who sit in front of you or in some cases next to you. Of course, we generally can't do anything about that except endure it for several hours. Oh my goodness....we just returned from Alaska with a great Travel Factory Gang who were rewarded with some absolutely wonderful weather. We always do 5 nights on land visiting Fairbanks, Denali National Park, and Anchorage, and 7 nights on a cruise from Whittier visiting Hubbard Glacier, Glacier Bay, Skagway, Juneau, and Ketchikan, flying home from Vancouver. Speaking of weather, for only the 4th time we were able to see the tallest mountain in North America in all her glory; she is so big she makes her own weather, but had mercy on us that day!! In our 22 years of taking groups to Alaska, we have never had a discouraging word about the trip, in fact, we have 3-6 couples every year who take a repeat trip. Just so you know.....next years trip for the land and cruise begins on July 3-15; the cruise-only portion from July 8-15. Just so you know too, the early booker gets the best fare and promotion (right now and until Aug. 31, they are including the all-inclusive beverage package) and generally the least expensive air fare is available early. How about going with The Gang to Hawaii? Call us today and join a good group traveling in a great time of the year to the 50th state in the Union.....October 13-22, 2016. 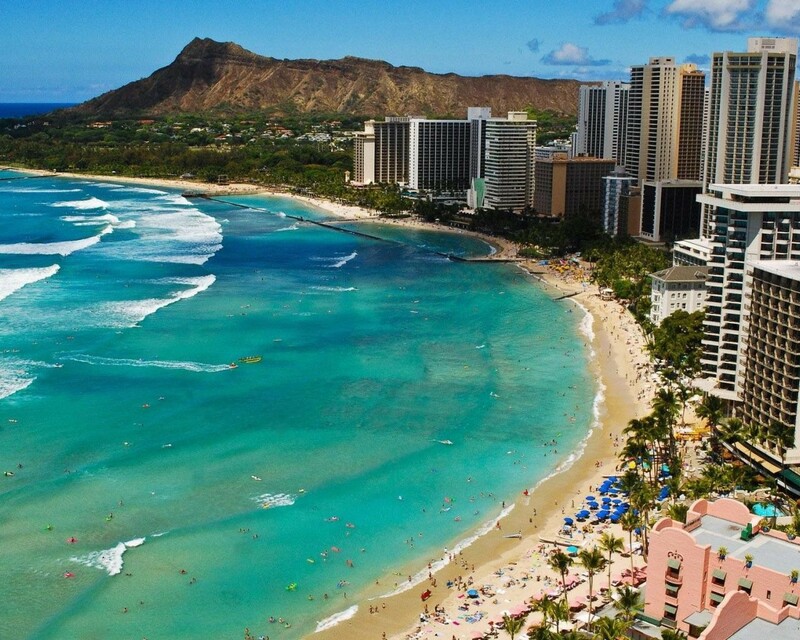 We will be 2 nights in Honolulu at the Waikiki Beach Marriott, then get on the Pride of America and sail to all 4 islands, enjoying an overnight in both Maui and Kauai. We're within the 90-day final payment period, but I contacted them today and there are still some rooms available. What a way to reward yourself with a birthday or anniversary memory.....and you don't even have to have a passport!!! 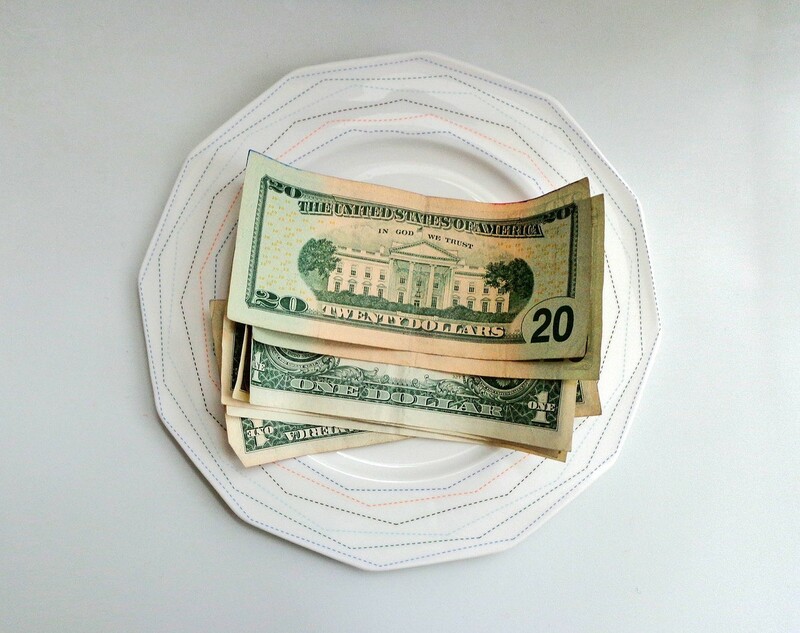 One of the most often over looked expense of a vacation is tipping etiquette. Who should you tip, how much, when should you tip....all important questions, because after all, TIPS means “To Insure Prompt Service”...and that is what we all expect when were on vacation. It has been our practice for a long time when assisted at a hotel with our luggage that we tip the bellman a dollar a bag...the same for a sky cap at the airport. If you enjoin the services of the concierge for reservations at a restaurant or a show, about $5-$10 should be a fair tip. Usual tip for the maid who attends your room is around $2 a day. Tipping the taxi or limo driver figure around 10-15% of your fare. If you are using valet parking service to park your car, $5 is fair compensation. Nowadays, tipping on a cruise ship is fairly easy. They add the charge, usually around $14 a day per person to your room account and that is distributed to all those who have served you in the dining room and your room steward. They also add 15% gratuity to your soft drink or alcoholic drink when ordered on the ship. To relax....absolutely the best way to enjoy a little rest and getting away from the daily routine. A good way to thank my family is to give them the opportunity to enjoy this type of vacation. To conquer my fears......of water, of seasickness, of the unknown. 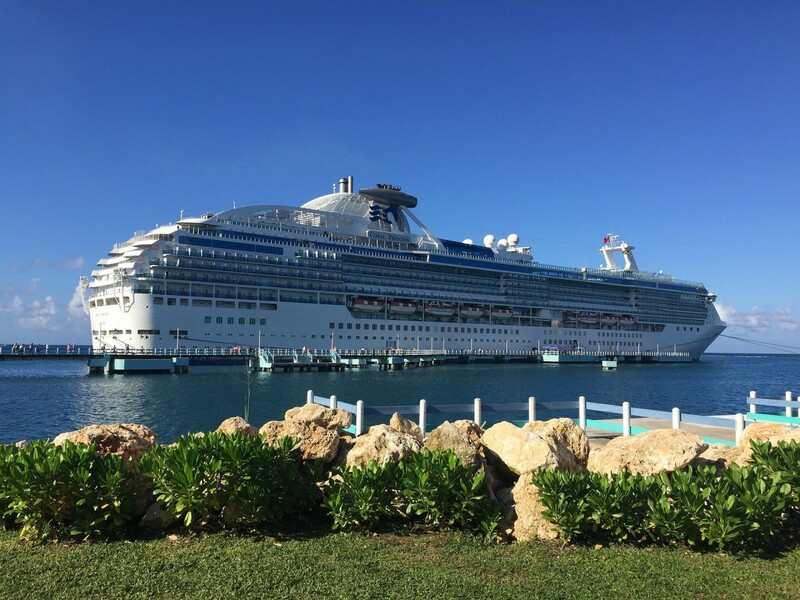 To honor a family member with a “cruise of a lifetime”, birthday, anniversary. To renew our vows is another way to seriously concentrate on why we chose our spouse. 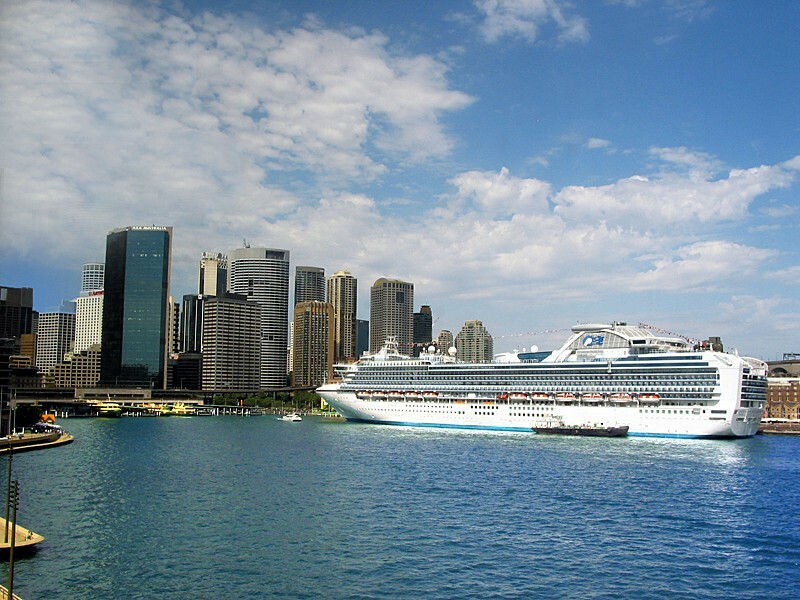 To keep a promise that one day we would celebrate a special occasion with a cruise. To fulfill a bucket list....one of the travel items that we've had for years. To quit smoking; inspired to kick the habit while at sea. To travel the world with a purpose; a journey to educate myself and family about geography and other people in our world. To escape the ice storm; getting away from bad weather is at least, mind and body, relaxing. To bridge a generation gap between our teenage grandchildren and their grandparents. Revisit wartime memories; depending, of course, on the itinerary. To surprise a loved one with their dream trip. To dance with my spouse....something we seldom do in our daily activities. To spoil the grandkids, showing them the world and at the same time getting to know other kids while engaged in ship activities. To take our last trip before the kids leave the nest....one last family memory together. To capture our dream of one day cruising on one of the “Love Boats”. 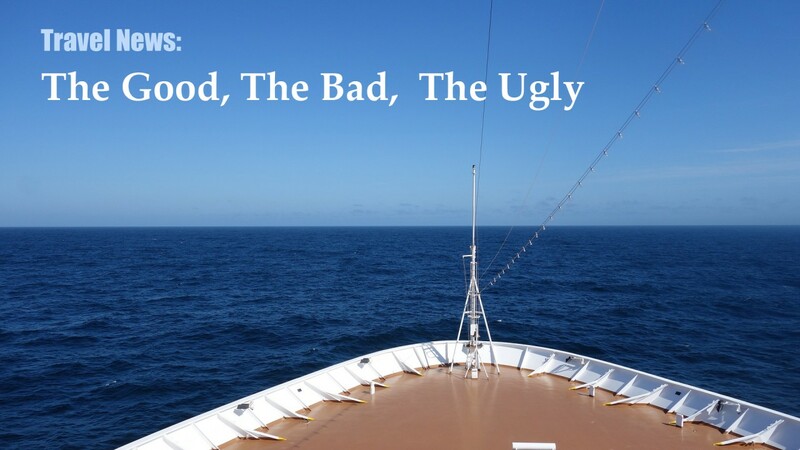 These are only a few of the many possibilities, or excuses, to enjoy a cruise, so call the experienced travel counselors at The Travel Factory today and let us help you manufacture the vacation experience of a lifetime. 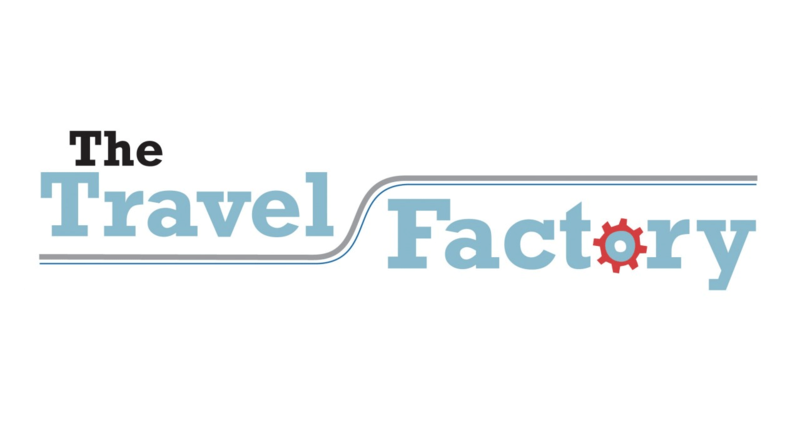 We can be reached at 4150 Southwest Drive, or call at 698-1421 or 800-760-4040, or check out our website at www.thetravelfactoryabilene.com. There are many travel blogs nowadays on the world wide web, and I'm not impressed with the idea that I have a huge population of listeners to our show or readers of my blog each week. But I do know that some have quite a few hits, and rightfully so. One that I rely on quite often is provided by the owner of a very successful agency named Churchill and Turen, LTD. I'm not certain that Richard Turen who is an owner and a long-time, well-respected travel agent, writes answers to all of the questions posed on their site, but he has received my attention for many years with his comments and insight. A question that comes up often in my association around town and with some of my clients was posed to him in a recent issue. The question was, “why doesn't lower fuel costs equal lower air fares?” This person had just paid $2.10 a gallon to fill up their car, so why did he have to pay an additional $120 more for fuel surcharge for an airline ticket when he knew the airlines were certainly enjoying lower fuel charges and have been for some time. 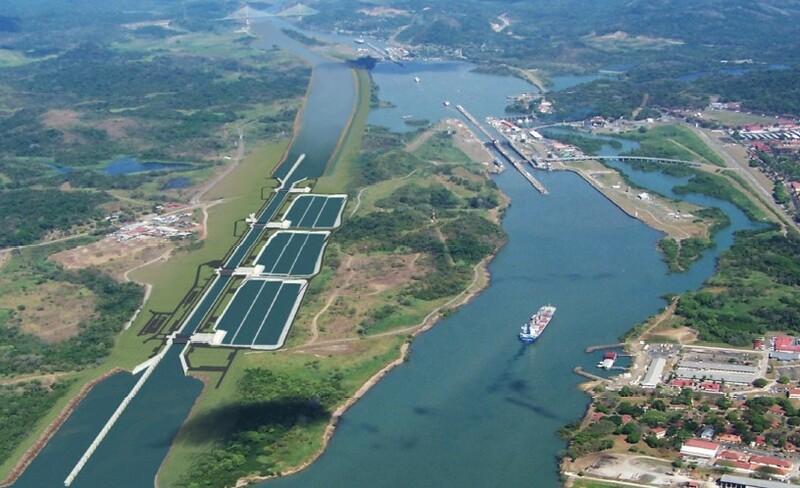 Have you ever been to the Panama Canal? Well, I have, and it is truly an engineering marvel; how it was ever built and in such an ugly environment is almost beyond imagination. I've been fortunate to have gone through her twice and am planning on going again next March. We have had some folks who have expressed an interest in going over the past few years, but I've purposefully held back because they have been constructing another canal and I did not want to go again until after it was finished. They were scheduled to be through with it in '14, then it was '15, but there were always delays of some sort or another. Well, just last week I heard that on June 26, this coming Sunday, they were going to open it for business. Here it is, 9 years after starting and $5.4 billion later, ships large enough to carry up to 14,000 containers compared to 5,000 that they can carry now, will be inviting paying customers to “come on down”. In a short while, the larger cruise ships will be able to navigate through there too, but I'm sure they will be doubly sure it is working exactly like they want it when they take passengers through those locks. Just noticed last week that American Airlines is changing the way they award frequent flyer points. They are just following the lead of Delta and United in the manner in which they reward their frequent flyers. They are basing the perks on how much the passenger spends on tickets, not how many miles they fly. 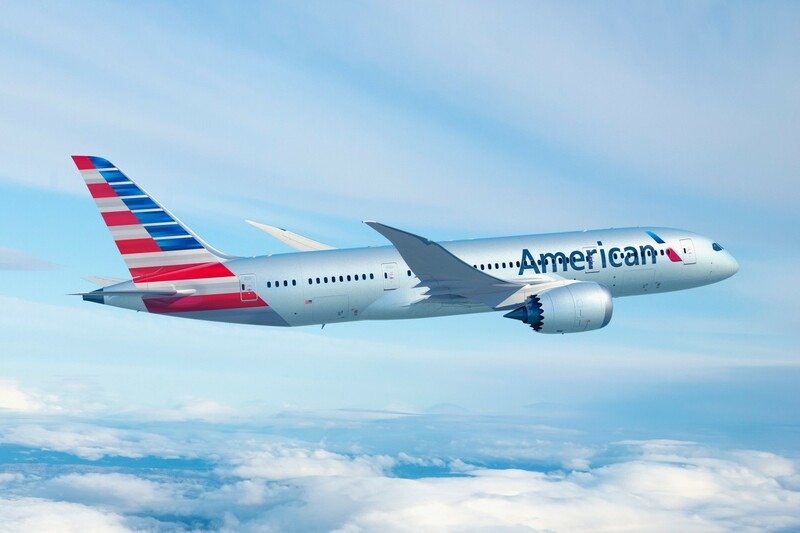 American started all this frequent flyer process back in the middle 70's, and they now enjoy the loyalty of over 100 million members, making it the biggest and oldest major airline loyalty program. It was easy figuring when they started; fly one mile, earn one mile. Nowadays they are in heavy competition for the high-paying customers, so their strategy now is to cater to those elite, high-paying travelers. Most members will earn five miles for every dollar they spend on base fares and carrier-imposed fees. That multiple rises to 7, 8, or 11 for the very elite. Starting January 1, miles alone will not make you elite....you have to spend an annual minimum of $12,000 for air travel to reach the executive platinum level. Travel agents are notorious for not “tooting their own horn”. Seldom do we go around telling everybody how good we are.....unlike Muhammad Ali!! By the way, I met him one time at the airport in Chicago......it was just him and me and Veronica (his squeeze at the time and eventually one of his wives). We had the whole concourse to ourselves.....unbelievable moment. It was while I was still coaching and we talked about basketball, boxing, and before I left them to be alone for a while, he graciously offered his autograph. Very nice man....but boy, could he “toot his own horn”......and could back it up too. 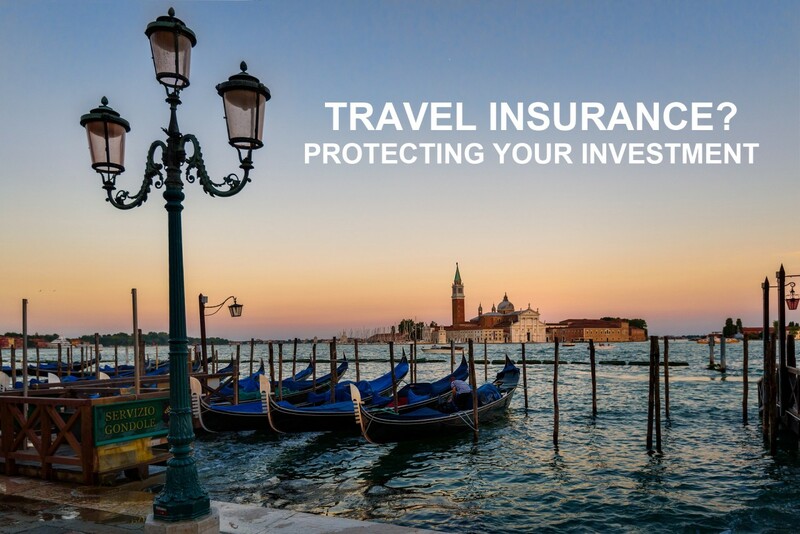 Travel agents can easily back up their boasts in regard to providing our clients with sincere, experienced, concerned travel advice. Typically though we don't do it enough, especially in this day and time. We do so much behind the scenes in taking care of flight schedule changes, delayed circumstances, and other situations that we have no control over, but we get involved because they are our clients, and we want to be of service. Back in the 70's and 80's when the airlines were paying us for our services, we had the money to promote our travel products and ourselves, but since 2000, that promotion budget dried up. Your head would have to be in the sand the past few weeks if you haven't been aware of the long wait at the security checkpoint lines at the airport. 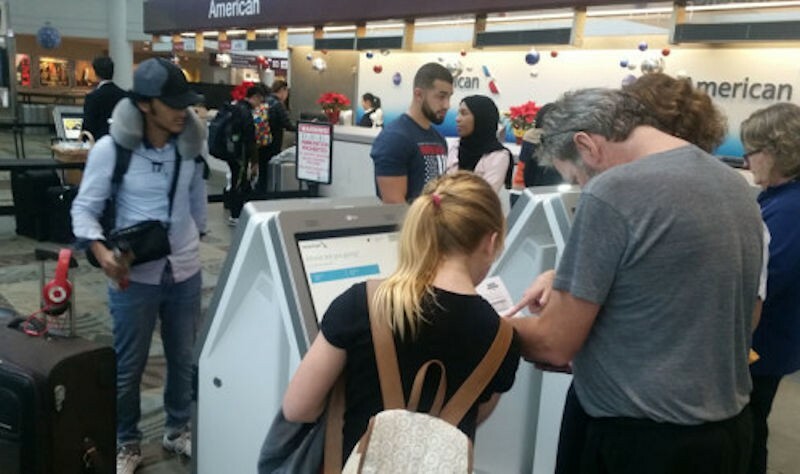 Lots of airline customers have their “nose out of joint” about the hang-ups and delays causing them to miss their flights or onward flights because they couldn't get through security lines in time to make their connections. The complaints have hit some congressmen too, and so the U. S. House of Representatives are considering legislation that would reduce the long lines at the nation's airports. When that the legislature gets involved, then you can expect they will try to solve the problem with more people, and will throw more money at the problem, which of course, will require a hike in “security charges” on to the ticket. According to one article I read, if signed into law, the Checkpoint Optimization and Efficiency Act of 2016 will require the Transportation Security Administration to assign “behavior detection officers” to man checkpoints instead of their current assignments (whatever that is) and also give local TSA directors additional flexibility to make changes in staffing that will result in shorter wait time. 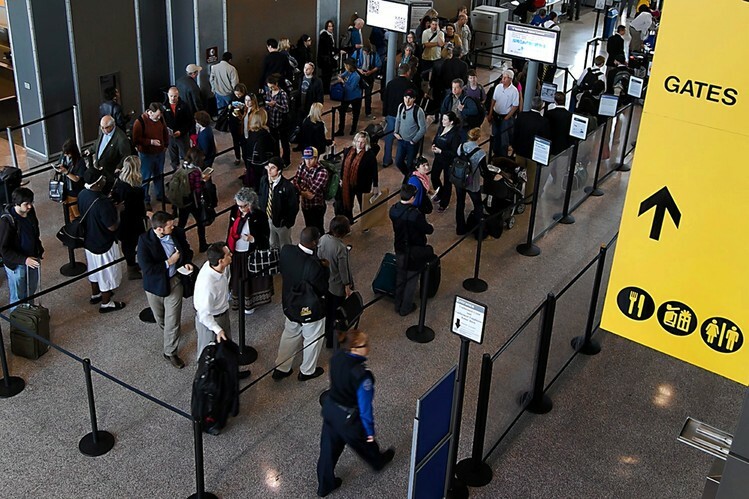 The bill also requires that the TSA review the allocation of screeners and canine teams at each airport with an eye towards reducing wait times. It will also order the TSA to expand the PreCheck trusted traveler program. We just returned from a great vacation experience.....cruising the British Isles!! 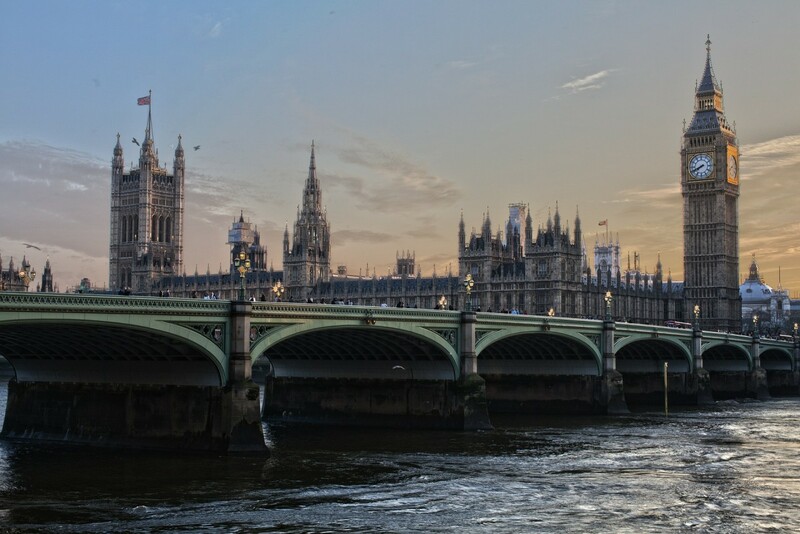 We started with a two-night introduction to the attractions of London....even a London theater experience with The Lion King and Jersey Boys. And if you've never been to Harrods in London, it is an amazing shopping extravaganza. Just watching people in that place is great entertainment!! Princess Cruise Line took us to a very important and interesting island during WWII, Guernsey, then to the Ireland stops of Cork, Dublin, and Belfast. We journeyed on to Scotland, visiting Glasgow, the Orkney Islands, Invergordon, and Edinburgh where we enjoyed a tour of the Glamis Castle and a walk around the legendary St. Andrews golf course, where the game originated. Because of a union strike at the port of LaHarve, we missed that stop, but Princess substituted a stop at Brugge, Belgium. It is known as the “Venice of Belgium” because of the canals in and out of the city. Passengers could also take an excursion over to Brussels too, so all was not lost, and it turned out to be a very interesting port substitute. 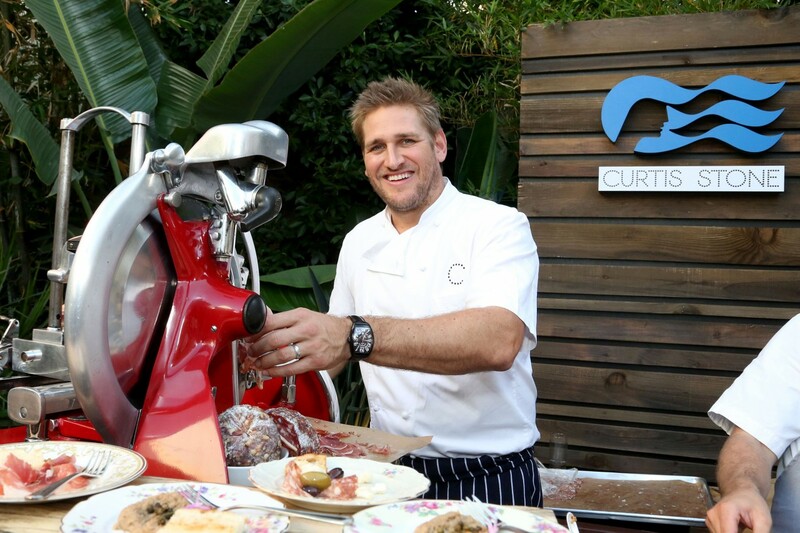 Most of the cruise lines are introducing new and different attractions on their ships in an attempt to appeal to a different demographic and to present something new to past guests. Besides the “bigger is better” approach that some lines are taking, other lines are presenting a different way to do what they have been doing. Following are some of the things that are being implemented this year.